Plenty of free parking and an exercise area available for the dogs. About Lynda – Lynda is an inspirational dog trainer who has a passion for clicker training and positive reinforcement training. 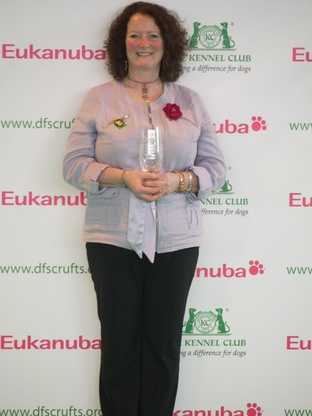 Lynda has competed in heelwork to music at Crufts and in 2011 Lynda was given the honour of judging the heelwork to music and canine freestyle at Crufts. A fun and informative day suitable for all levels of dogs and handlers. - Using the clicker to open neural pathways and teaching the dogs how to learn. An action packed day of heelwork to music. - Teaching, improving and strengthening behaviours. Handlers Places: £35 per workshop, or £60 if book both the clicker and heelwork to music workshops are booked and paid for at the same time. Please note the handlers places are limited. Spectators: £15 per workshop, or £25 if both workshops are booked and paid for at the same time.